In 1856, English inventor Sir Henry Bessemer changed the world forever with the Bessemer process. This simple but brilliant invention blew air through molten iron to remove imperfections and create high-quality steel at an affordable price. With Bessemer’s patented method, reliable steel was suddenly available for railroads, construction, artillery and countless other uses. The Industrial Revolution could begin. 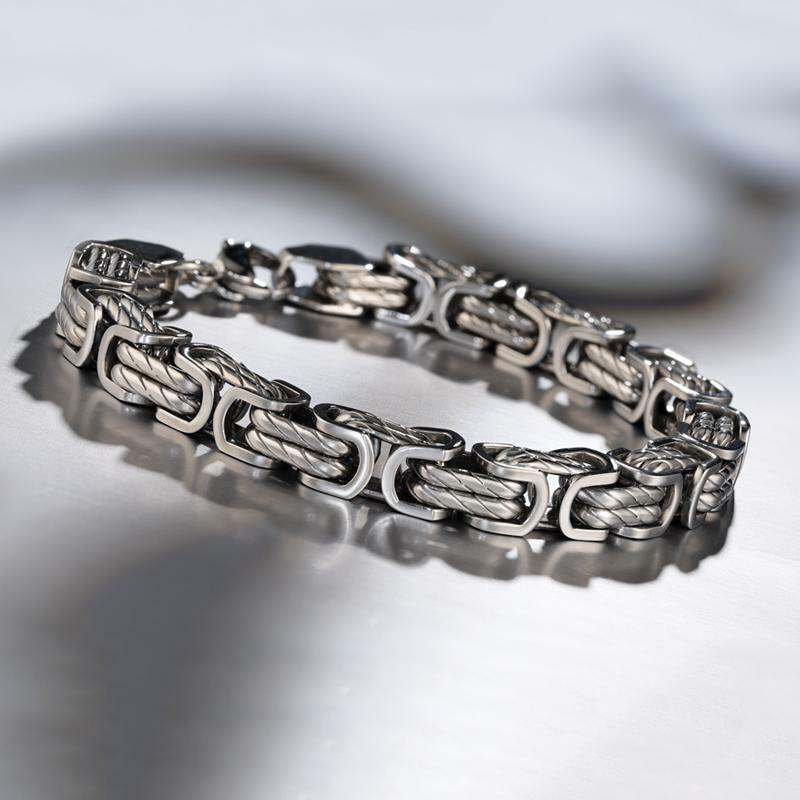 We celebrate Bessemer with the Sir Henry Bracelet, made of interlocking stainless steel. The high quality and durability of the stainless steel in the Sir Henry Bracelet would have delighted the English inventor, and the bold industrial motif pays tribute to the millions of people who worked hard in the steel industry to create the modern world. Like Bessmer, we believe in changing the way things are done by creating higher quality items at lower prices. A real steal if you ask us.